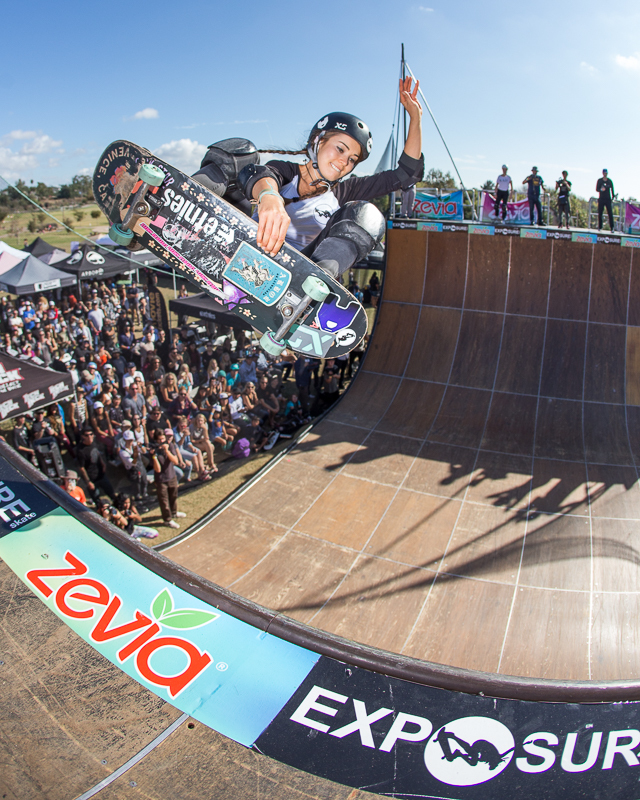 Two weekends ago, the Exposure Skate all-women’s skateboarding event took place for the sixth consecutive year. 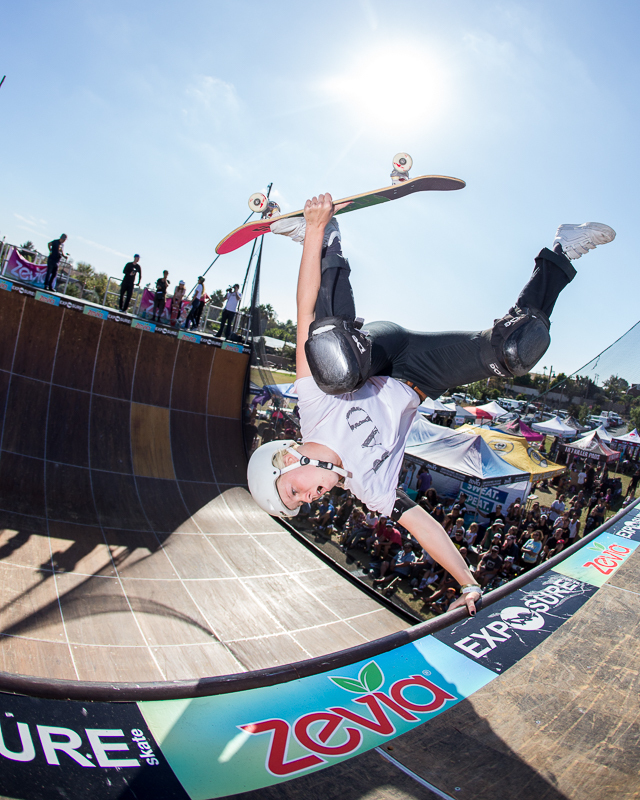 Hosted by co-founder and vert ripper, Amelia Brodka, the mission of this all women’s skate festival and contest is focused on empowering women through skateboarding. This year, and as per usual, the Exposure Skate had an amazing turnout which attracted skaters, spectators, businesses, and media from all over the world—everyone in attendance was looking to check out the vert, street, bowl competitions, as well as to grub down at the many food trucks and peruse the expanding vender plaza. 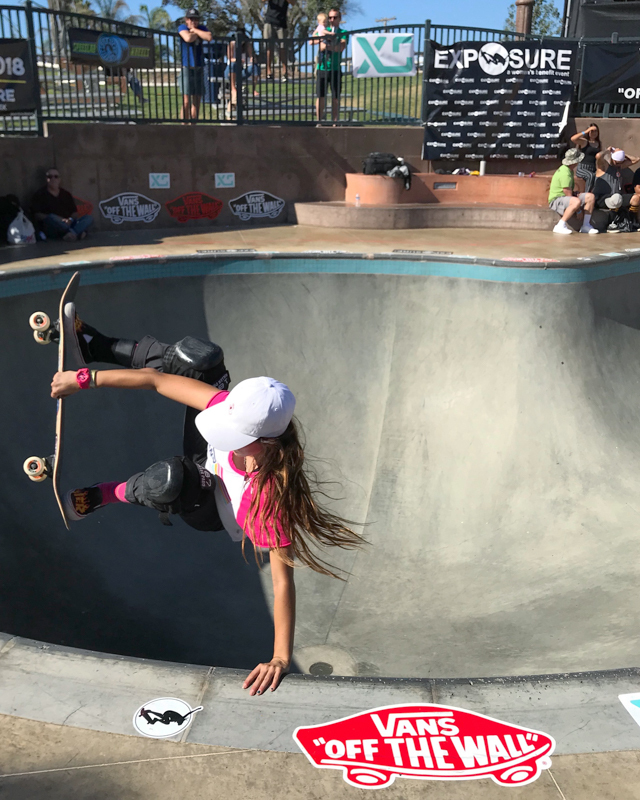 With women’s skateboarding on the rise, and with the introduction of skateboarding into the Olympics, women’s skateboarding is gaining momentum and we here at Wheelbase were once again honored to come out show our support of this amazing women’s skateboarding event. Hunter Long, eggplant on the 13 footer. Photo: Grove. Poppy Star Olsen kicking it inverted. Photo: Grove. Allysha Le, kicking it off the coping. Photo: Grove. 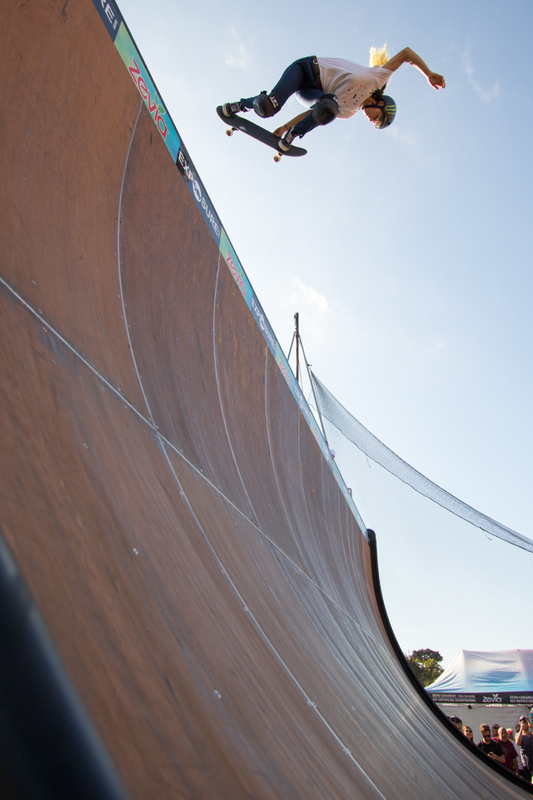 Bryce Wettstein throwing feeble on vert. Photo: Grove. 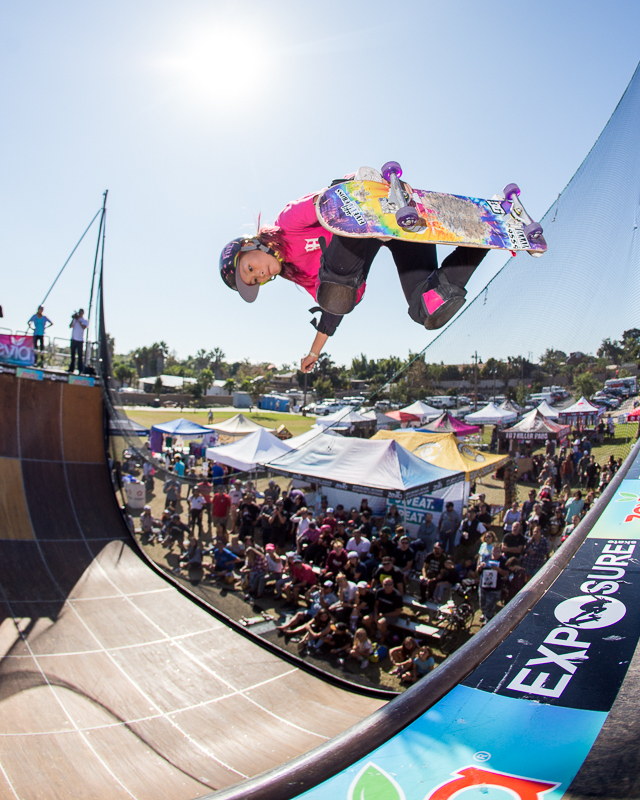 If you did not already know, Exposure Skate is an annual female skateboarding competition that was created in 2012 after the removal of women’s vert and bowl competitions from most all significant skate events. That same year, Amelia Brodka co-founded Exposure Skate along with Lesli Cohen and a team of volunteers. 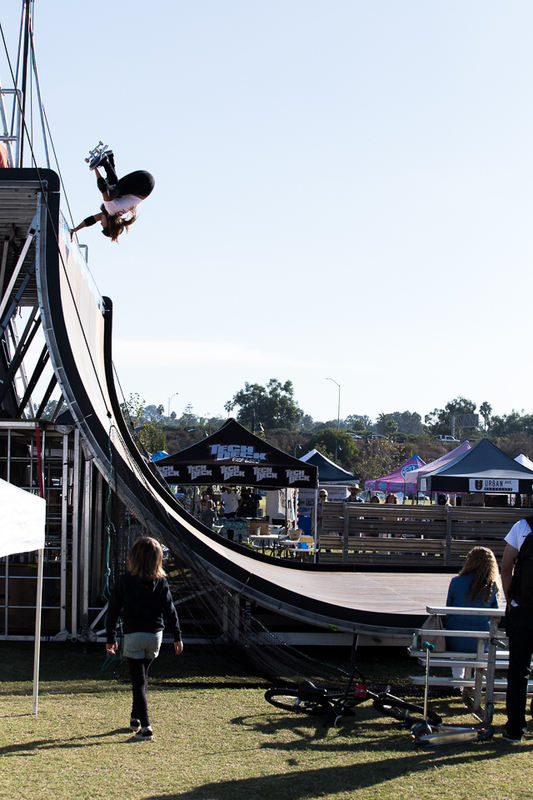 Since 2012, Exposure has hosted the world’s largest all-female skateboarding event in the world, each November, and based out of San Diego, CA—with the past three years taking place at the newly developed Encinitas Skate Plaza. 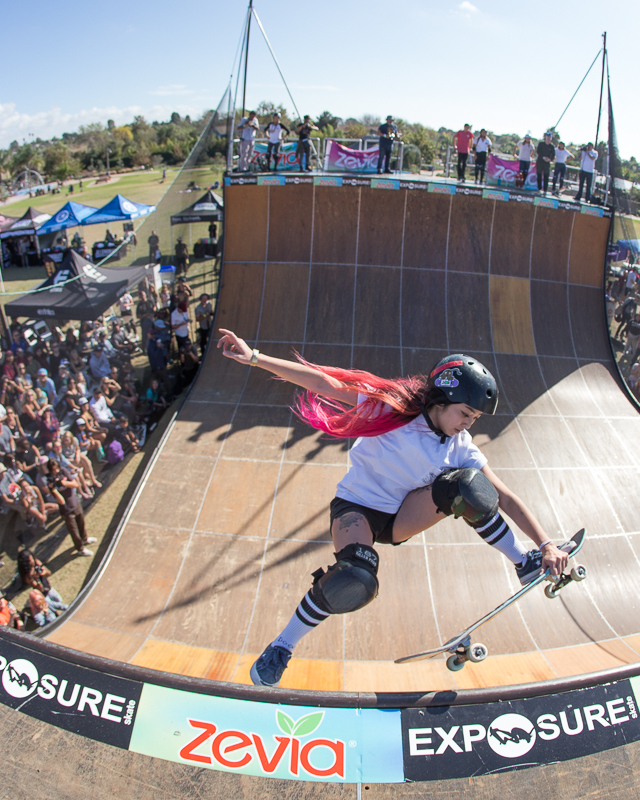 Exposure Skate is a nonprofit organization, and in addition to expanding the reach and impact of women’s skateboarding, a portion of proceeds from this annual event goes towards domestic violence aid and resources. 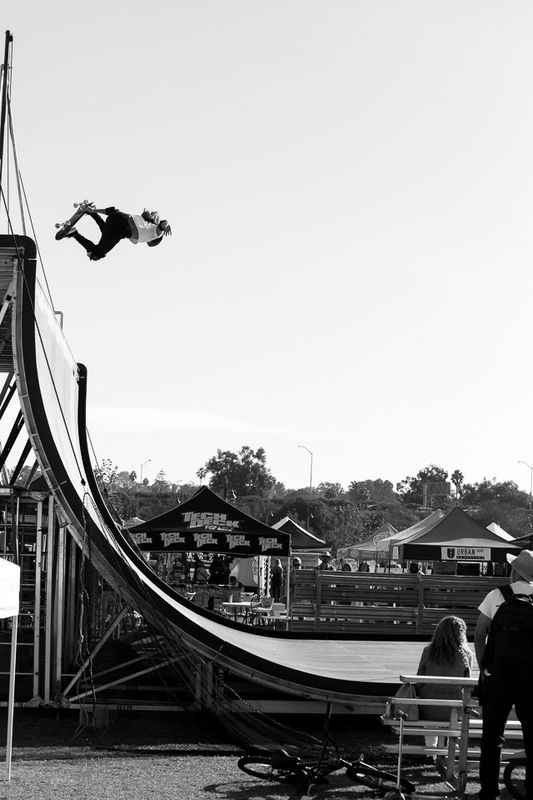 Arriana Carmona boosting. Photo: Grove. Lizzie Flying Backside. Photo: Bandy. 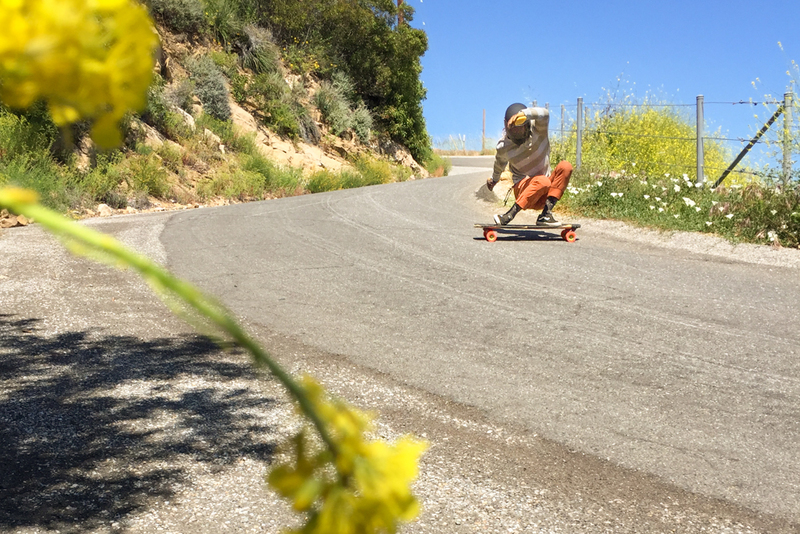 Event founder, Amelia Brodka, boosting frontside. Photo: Grove. 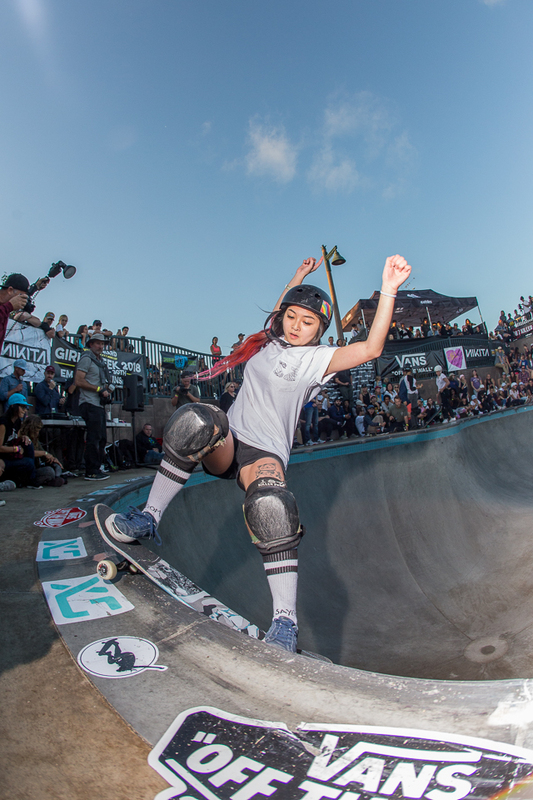 Sakura Yosozumi came from Japan to rip it up in the competition. Respect! Photo: Grove. 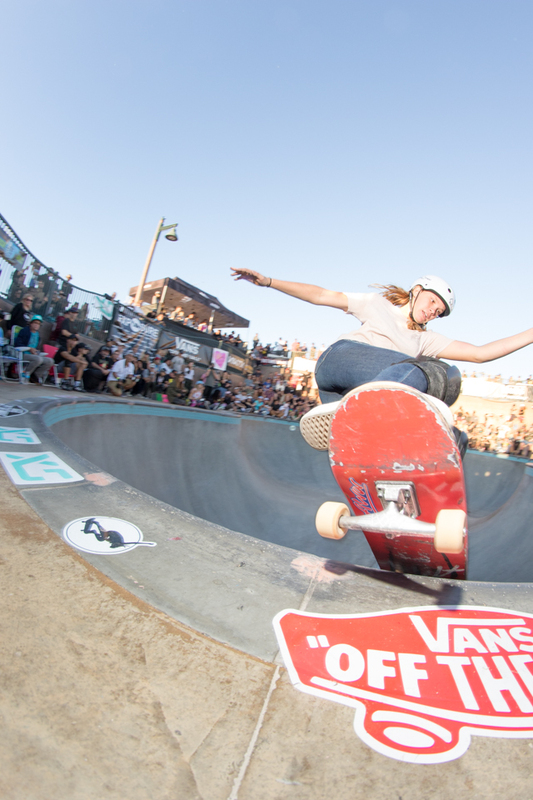 Hunter Long blasting backside airs like gravity ain’t a thang. Photo: Grove. 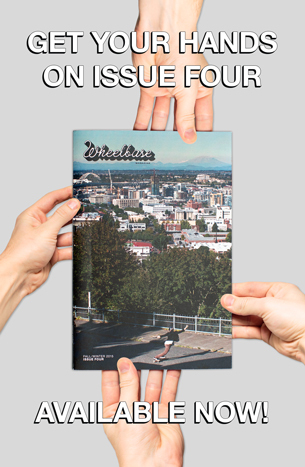 This was Wheelbase’s third year in attendance shooting photos of Exposure Skate’s many she shredders. Both Jake Grove and myself had a truly great time as we always have at this event; we were both blown away and humbled by the growing skill level, style, and the quality vibes from all the female competitors. Jennifer Soto, nollie hip flip. Photo: Grove. Just a small portion of the Street crowd cheering on the girls… Photo: Grove. Patti Mcgee watching as today’s girls rip it up! Photo: Grove. 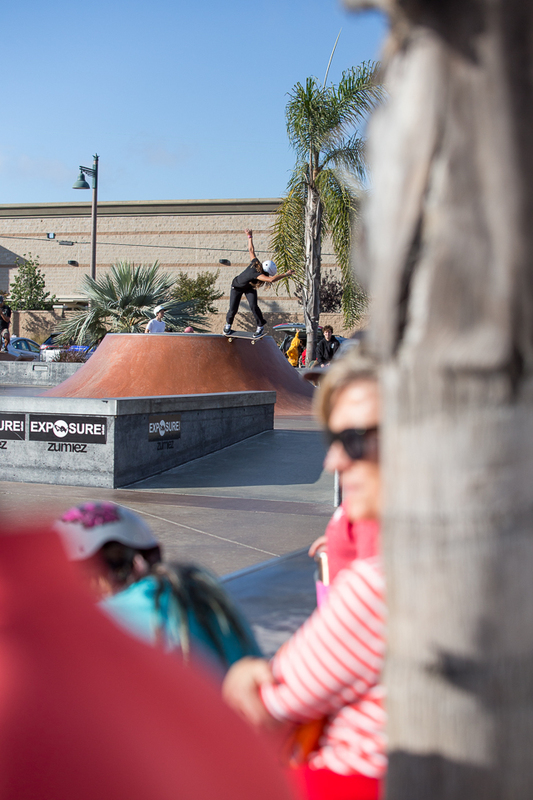 Last year we covered Exposure Skate in more of a traditional play-by-play style by adding the full contest results and speaking directly to our day’s adventures in a temporal fashion. 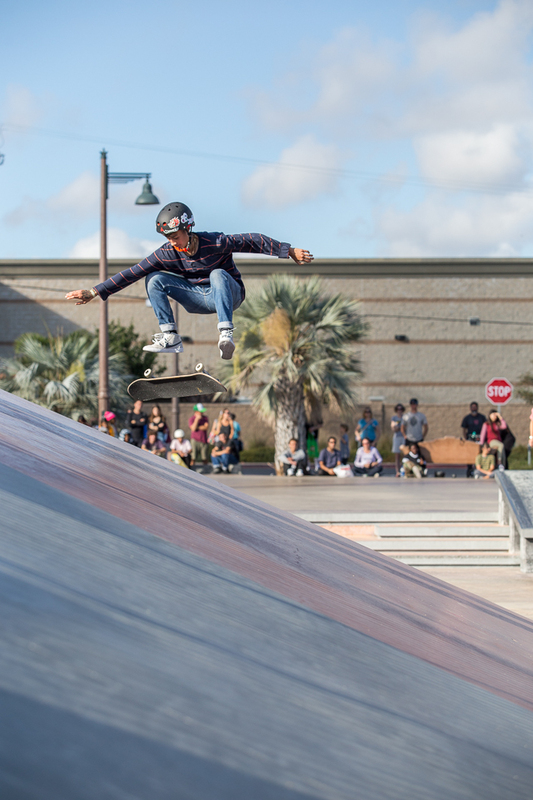 This year, however, we’ve chosen to fashion a more visceral event recap of Exposure Skate, focused on allowing our readers to simply enjoy all the pretty skate pics we captured through the day. We ask that you kick back, chillax, and please enjoy our favorite shots from the event. Afterward, if you are still hankering for a more textually linear rendering of this year’s Exposure Skate event, we suggest visiting exposureskate.org. In the meantime, please do check out all our images, and tell the homies how we do. Thank you. 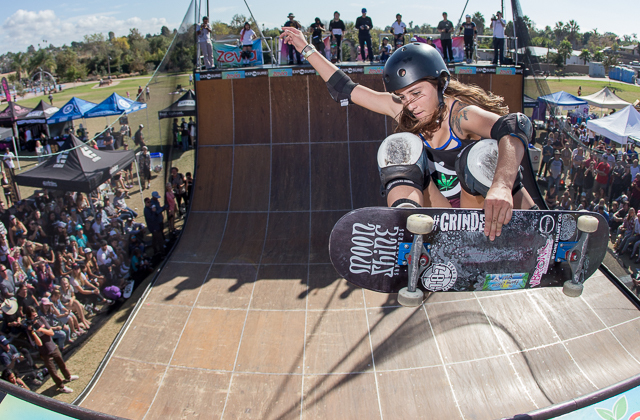 Big ups to all the amazing women of skateboarding!!! 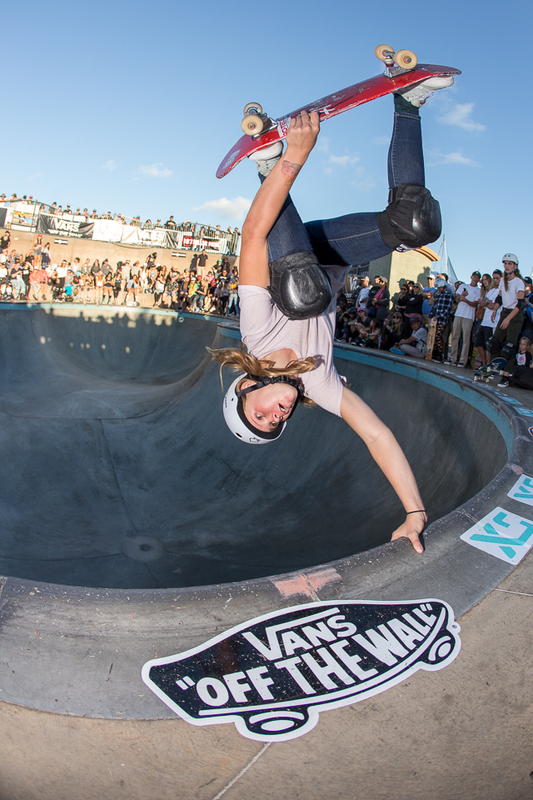 Getting inverted for the Pro Bowl, Grace Marhoefer Photo: Grove. Bella Kenworthy, Pink Helmet Posse Represent! Photo: Grove. Brazilian ripper Yndiara Asp. Photo: Bandy. Autumn Tust holding it down for Florida. Photo: Bandy. Poppy Star Olsen over the hip. Photo: Bandy. Grace Marhoefer, once again slaying the bowl. Photo: Bandy. Kihana Ogawa getting shreddy. Photo: Bandy. Thank You’s: A massive thank you goes out to Amelia Brodka, Lesli Cohen, and everyone else who makes this event happen the way it does, year after year. Also, thanks to the many volunteers who setup and tear down; they really play an important role in the event’s success. Thanks you! 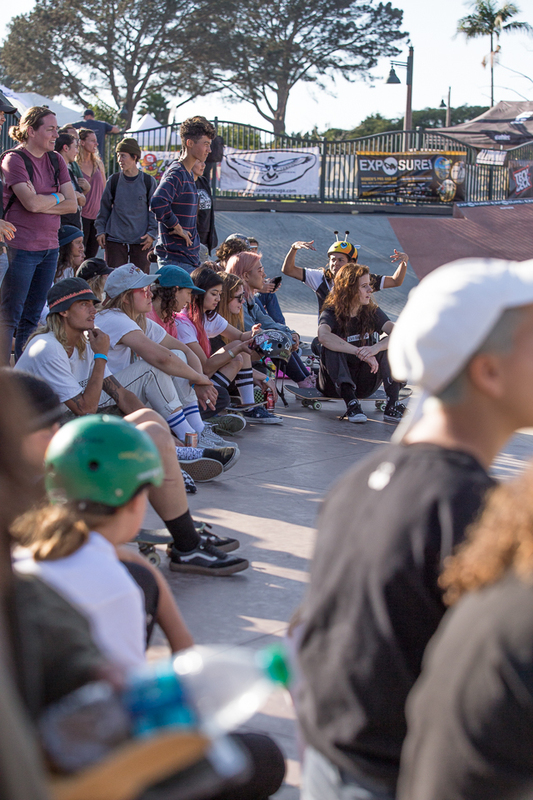 Thanks to all the sponsors and vendors that contributed to the event and kept the stoke flowing, and helped Exposure to acheive their goals of fostering a positive growth in women’s skateboarding as well as uplifting and supporting women and our community in general. Check out the full list of sponsors at exposureskate.org. 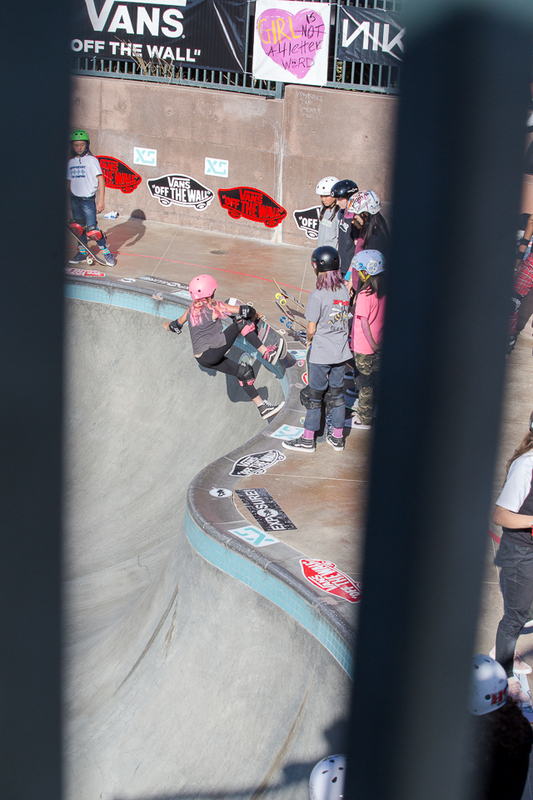 Lastly, thank you to all the girls who have kept the event alive over the years and who have and showen us how rad women’s skateboarding is, and is growing to be. 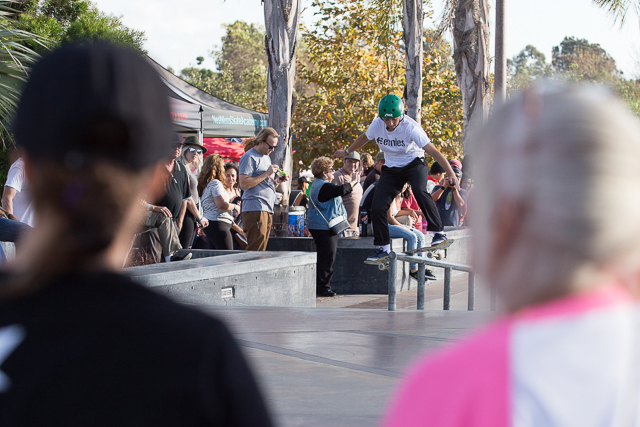 All of you contributed to one amazing skate scene, and the support for one another keeps the stoke flowing. Keep on pushin! 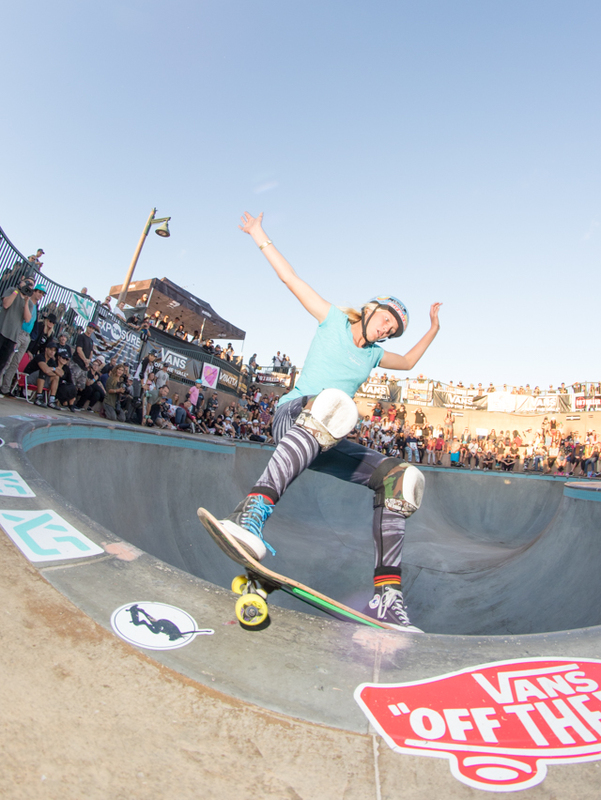 Catalina Island Classic 2017 (Event Recap) AGENDA, 2017: Scenes from a Changing Market Place Exposure, 2016: A Women’s Skateboarding Movement Exposure, 2015: Empowering Women Through Skateboarding.